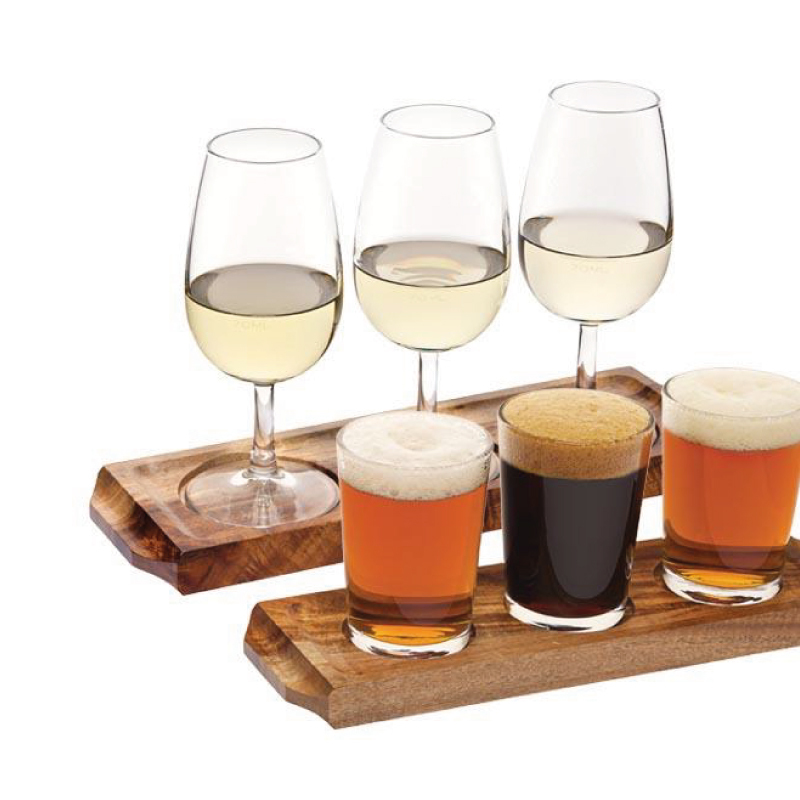 Waiter’s Friend Wooden Wine Flight tasting paddle is a great way to showcase new wines and encourage trading up. 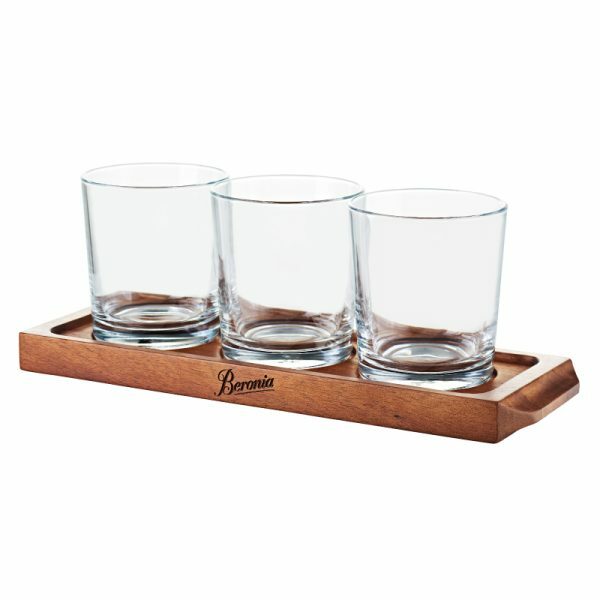 Create theatre around your wine offering adding the feel-good factor that brings repeat bookings. 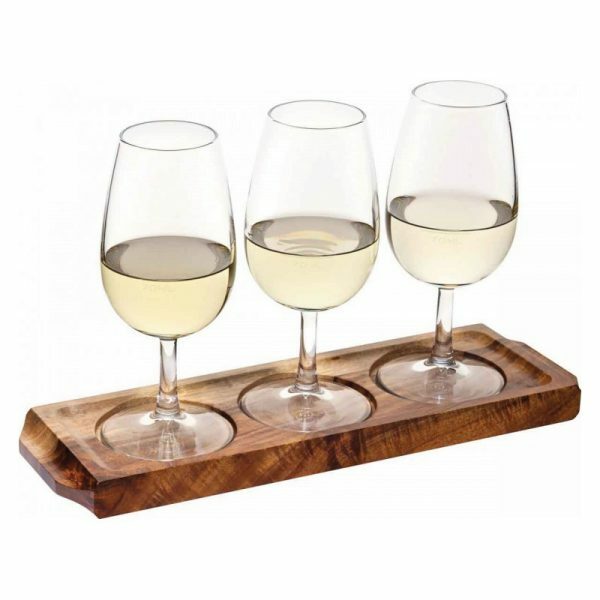 Or use the wooden wine tasting paddle to promote partner dishes and menu matches. 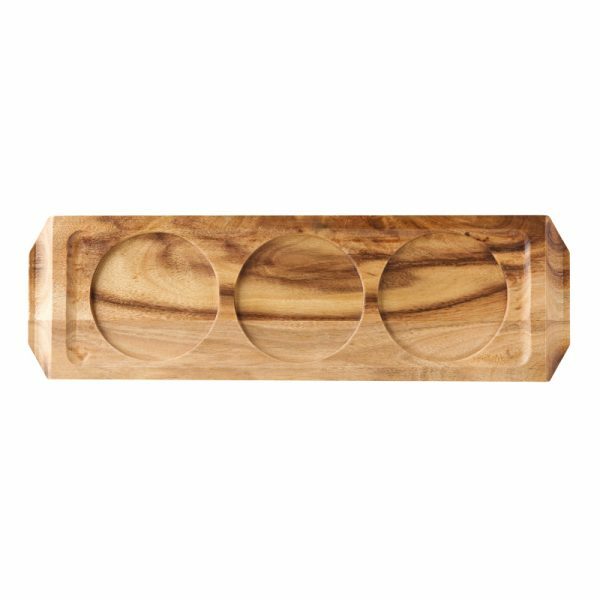 With easy to carry handles and recesses for the glasses, these wine flight paddles are easy and fun for staff to use. 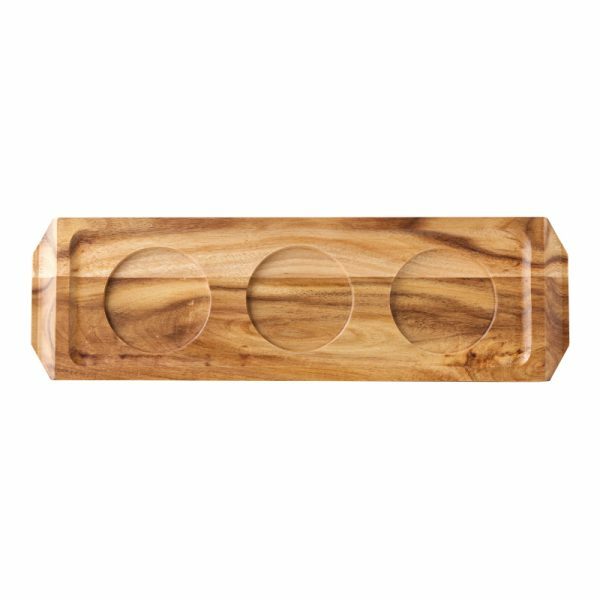 Laser engraved wooden paddles with a logo for added brand promotion. 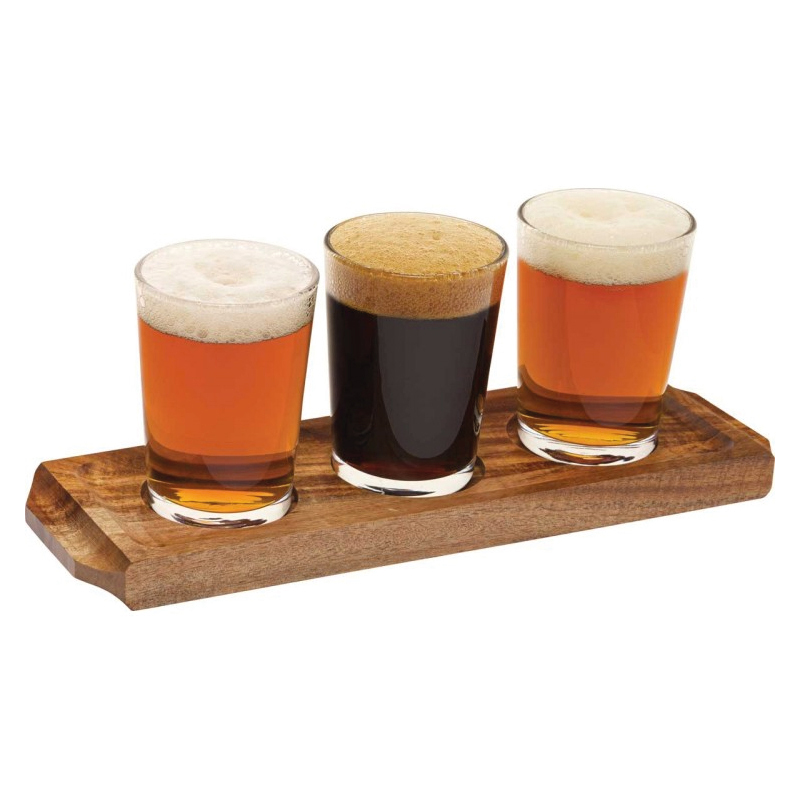 Wooden Flight Paddle for 3 Wine Glasses on one side, or turn over and transforms in to Beer Tasting Paddle.